Today, the 4Cs of Diamond Quality is the universal method for assessing the quality of any diamond, anywhere in the world. No inclusions, only blemishes are visible to a skilled grader using 10x magnification. FL and IF diamonds appear identical unless viewed under 10x magnification by a skilled grader. Less than 3% of jewelry quality diamonds are rated IF. Inclusions are clearly visible under 10x magnification but can be characterized as minor. Inclusions are not visible to the naked eye. Perhaps 1 in 100 untrained observers can detect VS2 inclusions with the naked eye, on close inspection under ideal conditions. Inclusions are noticeable to a skilled grader using 10x magnification. SI1 is the lowest grade with flaws often invisible to the naked eye. SI2 inclusions are usually visible to the naked eye, although they will require close inspection. Inclusions are obvious under 10x magnification and may affect transparency and brilliance. I1 diamonds have inclusions that are almost always visible to the naked eye. Colourless While there are differences in color between D, E, and F diamonds, they can be detected only by a gemologist in side by side comparisons, and rarely by the untrained eye. Near Colourless While containing traces of color, G-J diamonds are suitable for a platinum or white gold setting, which would normally betray any hint of color in a diamond. Faint Colour Beginning with K diamonds, color (usually a yellow tint) is more easily detected by the naked eye. Very Light Colour Diamonds in the N-R color range have an easily seen yellow or brown tint, but are much less expensive than higher grades.If you desire a diamond in this range, request a price quote using the custom diamond search. Light Colour For almost all customers, S-Z diamonds have too much color for a white diamond. If you desire a diamond in this range, request a price quote using the custom diamond search. Shallow Diamond Cut If the diamond cut is too shallow, entering light strikes the pavilion facet at a low angle and passes through the facet (refracts), escaping through the bottom of the diamond. Deep Diamond Cut If the diamond cut is too deep, entering light strikes the first pavilion facet at an angle sharp enough to reflect to the second pavilion. But the light strikes the second pavilion at too low an angle, causing the light to refract (pass through the facet), escaping through the bottom of the diamond. Correct Diamond Cut In a well cut diamond, the light strikes each pavilion facet at an angle which allows most of the light to reflect back to the crown (top). As it passes through the crown facets at a low angle, the light refracts upon exit. In this case, refraction is a good thing, as the bent light travels to the observer’s eye and is perceived as a lively fire. Each carat can be subdivided into 100 ‘points.’ This allows very precise measurements to the hundredth decimal place. 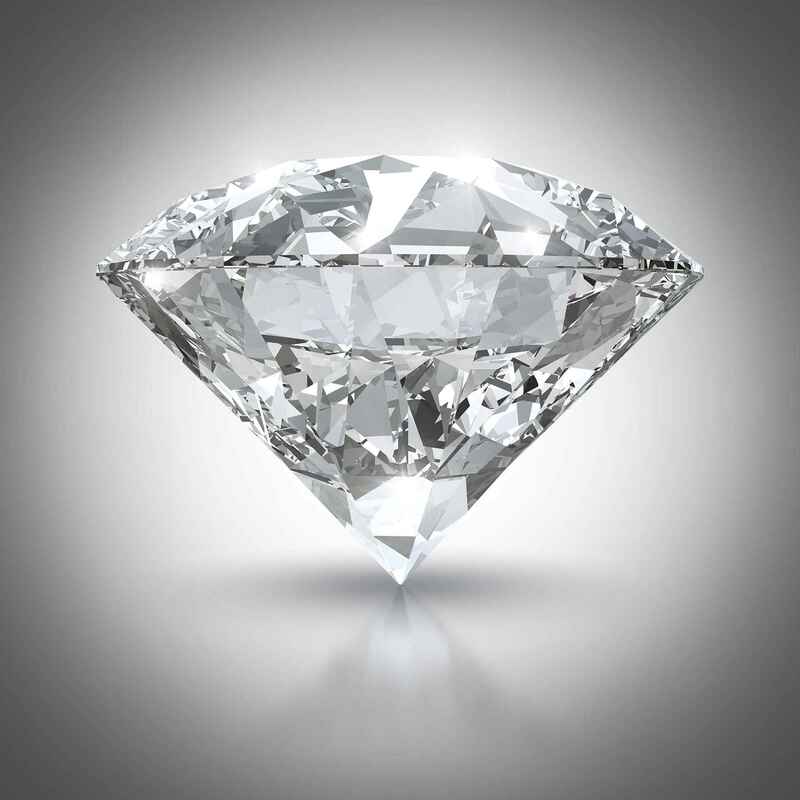 A jeweler may describe the weight of a diamond below one carat by its ‘points’ alone. For instance, the jeweler may refer to a diamond that weighs 0.25 carats as a ‘twenty-five pointer’. Diamond weights greater than one carat are expressed in carats and decimals. A 1.08 carat stone would be described as ‘one point oh eight carats’. Carat weights include 0.25CT, 0.50CT, 0.75CT, 1.00CT, 1.25CT, 1.50CT, 2.0CT, 2.5CT and 3.0CT.